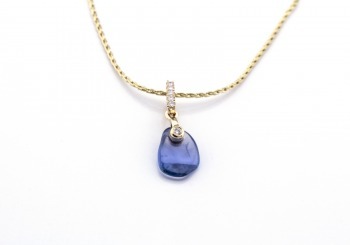 This 14K yellow gold pendant features a tumbled Yogo Sapphire accented by diamonds. Each tumbled Yogo Sapphire has a unique size and shape making this piece one of a kind. 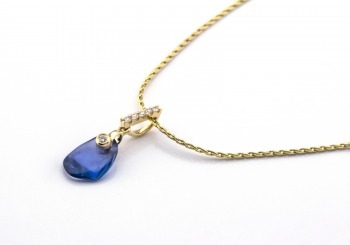 Center StoneYogo SapphireWeight1.05ctAccent StoneDiamondWeight0.03twChain not included.